Ty Tessmann has delivered a power plant that's worthy of his winning pedigree with the Speed B21 Ty Tessmann II. 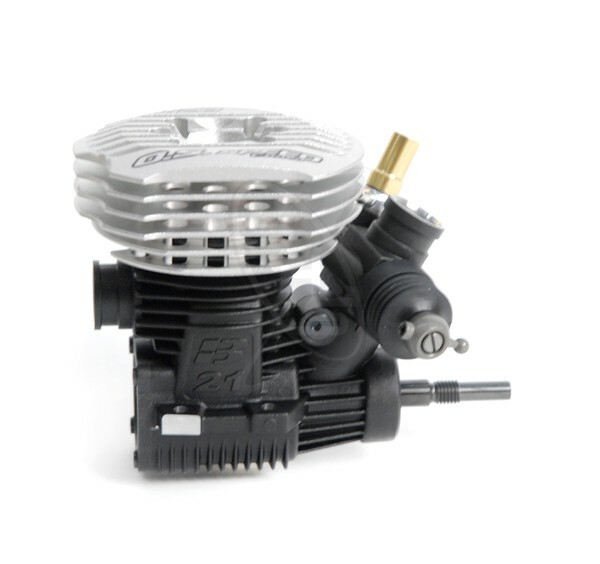 Unique features include a low-profile cylinder head designed by Ty, a 5.8 mm carb reducer and laser-etched engravings of Ty's signature on the crankshaft cylinder head and crankcase. Supplies are limited, so get yours now before they run out! - Special low-profile cylinder head with double-height vertical fins, designed by Ty Tessmann. - Crankshaft cylinder head and crankcase feature a laser-etched engraving of Ty Tessmann's signature. - 5.8 mm carb reducer. - 21J3 (B) slide valve carburetor. - P3 Turbo glow plug. Look for the laser-etched engravings of Ty Tessmann's signature on the crankshaft, cylinder head and crankcase! Ty's preferred 5.8 mm carb reducer is also included.